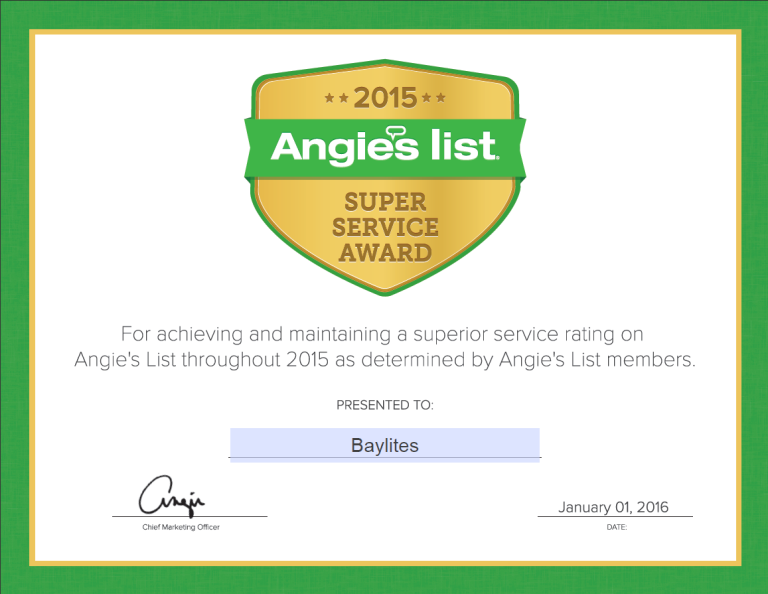 Baylites earns esteemed 2015 Angie’s List Super Service Award. This award reflects the company’s consistently high level of customer service. “Only about 5% of the Landscape Lighting Design companies in the Richmond areas have performed so consistently well enough to earn our Super Service Award” said Angie’s List Founder Angie Hicks, “Its a really high standard.” Baylites, a Professional Landscape Lighting Design Company has served Richmond and surrounding areas since 2006. Let Baylites bring this same level of customer service to your Landscape Lighting project today. Baylites website is https://baylitesllc.com, and phone is 804-639-2551 — please let me know how to serve you. Only wanna input on few general things, The website layout is perfect, the content is really good :D.